The platform, which is the first of their products, will permit direct integration with GitHub, making the process of solving open-source problems and receiving compensation much easier. Project issues can be funded with cryptocurrency that developers will receive upon resolution of the issue. Developers can start earning experience in blockchain development and are now able to participate directly in projects they care about by solving issues through FundRequest. Meanwhile, projects and companies can tap into a pool of passionate open source and blockchain developers through our platform. We look forward to being the bridge for these two groups and accelerating the development of open source and blockchain technologies. By integrating with GitHub, FundRequest has access to over 24 million active users who can register on FundRequest with their GitHub accounts. The platform also offers a plug-and-play API that can be integrated and used by any platform or community. Future versions will have a Chrome browser add-on, which will help streamline the funding process. 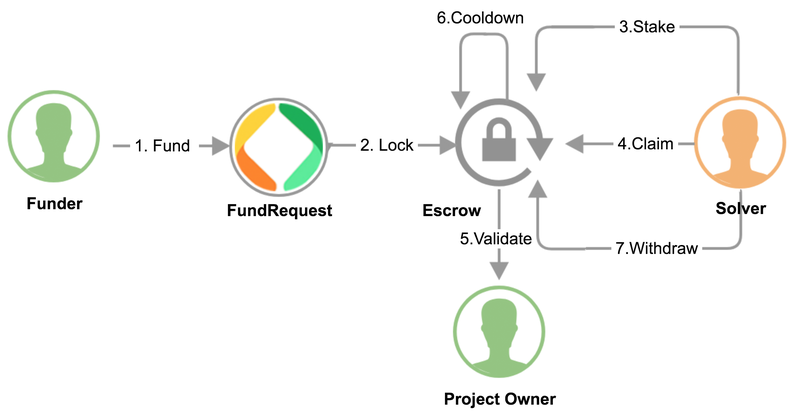 FundRequest is tackling a big pain point in the development of open-source projects: the lack of incentives. While such projects attract the better side of developers, who unselfishly devote their time and energy towards solving issues (expecting no reward), a platform like FundRequest will now greatly incentivize the open source space. Developers now have the opportunity to be financially rewarded for supporting a cause they believe in. It will also be possible for blockchain projects to pay developers in their native currency. Open-source development is a space that shares much in common with the community-driven nature of cryptocurrency. Often, community members with technical experience will contribute to a project’s development and, over time, build a reputation within the community. Project teams recognize the loyalty of these freelance developers and, in some cases, even encourage and advertise their solutions on their official communication channels. The cryptocurrency space is a perfect example of how relationships can be built both with and without monetary incentive. It is this relationship that FundRequest is trying to build and support between businesses and developers. The team has also indicated that they would like to create opportunities for seasoned developers to enter the blockchain industry, which is rapidly becoming one of the most sought-after technologies applicable to everything from finance to energy. The platform’s GitHub integration will make working with projects and use cases developers care about much easier. The integration with GitHub will make it easier for developers to work on projects and use cases they care about. Cryptocurrency enthusiasts will be especially interested to hear that the likes of Request Network, SingularityNET and Trust Wallet are on board. Request Network is a project that has an excellent reputation in the market, hitting several of their goals and releasing their mainnet earlier this year. The project focuses on making invoices, tax auditing and accounting simpler for businesses and freelancers. It is already possible for online merchants to accept payments in REQ tokens. 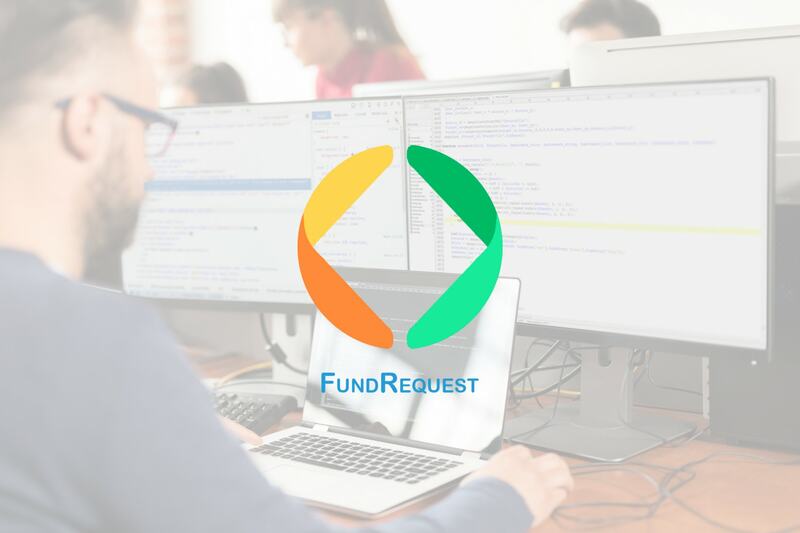 Essentially, anyone can a request a payment for a service – and their partnership with FundRequest opens up the possibility for the former to integrate FND tokens into its platform. Businesses that use Request Network can choose to make seamless payments with the platform — which works with every global currency, making conversion from cryptocurrency to fiat currency a real possibility. SingularityNET, like FundRequest, will build a decentralized marketplace, but focused instead on AI software and services. Making its mark by raising $36 million in a minute, the SingularityNET team wants the power of AI to be made available to everyone, and not just a select few corporations or groups of individuals. One possible opportunity in its collaboration with FundRequest is that developers can be incentivized with FND tokens to develop and publish AI algorithms, services and agents on SingularityNET’s decentralized marketplace. Open-source work is also popular in the AI field, so it is reasonable to imagine open issues on the SingularityNET platform being incentivized with FND. Such partnerships effectively create an ecosystem of ecosystems, where one project takes its advantages, focused on a niche demographic, and integrates it with a tangential market – like in the case of FundRequest working with Request or SingularityNET. This support system, like how nature’s ecosystems work to help each other, and will strengthen each individual ecosystem and open up new opportunities. Another promising development with FundRequest is that they have applied to Huobi’s HADAX exchange. HADAX offers nascent projects with great potential the chance to be listed on a major exchange, like Huobi itself. The FND Token was also recently listed on the CoinBene exchange. To win the opportunity to be listed on HADAX, FundRequest is in a unique voting competition with other European and Australian projects. The chances of FundRequest succeeding in the competition is high, given their potential, reputation and limited number of projects being voted on. Voting for this competition opens on May 30 and ends on June 2, 2018. Further details on how to support FundRequest can be found on their blog. FundRequest’s aim to stimulate open source development and its clever collaborations with projects which could make strong use of its system leaves it in a good position to become one of those projects that investors like to HODL for the long run. Check out the FundRequest platform now on their website. You can also join their Telegram, and follow them on Twitter.